I had kind of fallen off the face of the blogging world... trying to get back into the habit with something a little more focused around a product I spend a lot of time with... sipXecs. 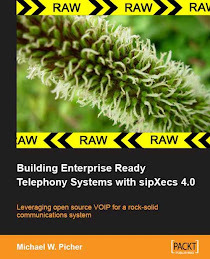 sipXecs is "the other" open source PBX available to the masses. It takes a decidedly different approach to an office communications system. I'll be posting product news, installation tips and tricks as well as different equipment I've tested and fought with.